Who out there does not love going on a picnic?! 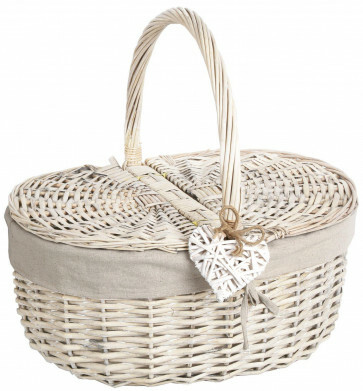 Delightful traditional style wicker picnic basket hamper with more than enough room for your picnic goodies! Stylish with little wicker heart deoration attached to the handle, you will take this shabby chic picnic basket with you on every trip.